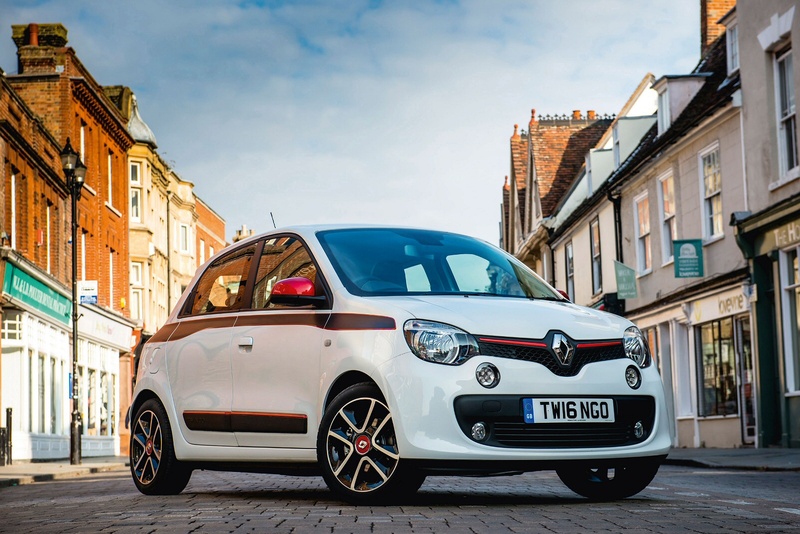 In MK3 model form, the Renault Twingo has switched from a front-engined front-wheel drive hatch to a rear-engined rear-wheel drive city car. 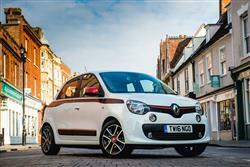 Developed in conjunction with Daimler, Renault's baby aims to give rivals such as the Peugeot 108 and Volkswagen up! something to worry about. If you were guessing at who Renault partnered up with to make the third-generation Twingo, congratulations if you chose Nissan. It's the logical answer, with Renault owning over 43 per cent of the Japanese company. Unfortunately it's also the wrong answer. Give yourself a clap on the back if you came up with Daimler AG, owners of Mercedes-Benz and, more pertinently, Smart. Yes, this Twingo is built on the chassis of future Smart cars. After realising that both companies seemed to be in the early design stages of very similar concepts, Renault and Daimler signed a strategic cooperation agreement in 2010, marking the official green light for the joint-development of the Twingo and the next versions of the two and four-seat Smart. The first generation Twingo was launched in 1992 and was a huge success in continental Europe although never sold in right-hand drive form here in the UK. We had to wait for the second generation car, which arrived in 2007 and carved itself a profitable niche here, especially in perky Renaultsport 133 guise. The third generation car is the most adventurous yet but will have to beat some serious competition. The big news with this Twingo is that compared to its predecessor, it's completely back to front. Where that car was a front-engined front-wheel drive platform, much like almost every other city car on sale, this time round there's been a radical change. The engine is now located at the back and drives the rear wheels. Yes, like a Smart car. A pair of 0.9-litre three-cylinder engines have been developed specially for this role. The first is a 70bhp SCe unit with a modest 90Nm of pulling power. It's better if you can to stretch to the turbo TCe unit, which offers 90bhp and has both manual and automatic gearbox options. A 110bhp version of this same TCe engine is available in the Renault Sport-developed GT hot hatch model. The advantages of a rear-mounted engine in a city car are easy to appreciate. Even with a smallish engine up front, turning circles are often compromised by the amount of under-bonnet real estate the front wheels have to move in. With no engine to worry about, you can offer a genuinely tiny 8.65m turning circle. With the wheels at each corner of the car, you're not going to get the sort of weighty, tail-endy feeling you'd get in a 'traditional' rear-engined model where the engine's slung a long way out beyond the rear axle. The Dynamique and GT TCe 90 models are fitted with Variable Gear Ratio power-assisted steering, making the vehicle more agile and reactive at lower speeds. If you didn't know the engine was where you'd normally put your shopping, you'd probably never guess from the outside. The Twingo has a fairly conventional city car silhouette, with elements of Fiat 500 in its cheeky domed profile. The front end adopts the usual Renault family face with bulging headlamps and a detail strip that frames the huge centrally-mounted Renault diamond. Punched inboard of the headlight pods are LED daytime running lights. The design team, headed up by Laurens van den Acker, wanted to evoke the feel of the Renault 5 and the rake of the Twingo's rear screen and the prominent shoulders are said to be inspired by the rear-engined Renault 5 Turbo. That might be a bit of a stretch for most of us to spot. Meanwhile, the new city car's five-door architecture - a first in the history of the model - makes it the most versatile Twingo to date. The rear door handles are hidden in the door frames and there are just four poppy colours to choose from; light blue, white, yellow and red. Scope for personalisation exists, naturally, with customisable exterior trim features like the door mirrors, side protective mouldings and decals. The Twingo is around 100mm shorter than its predecessor, but due to a longer wheelbase, the cabin length has increased by 130mm. 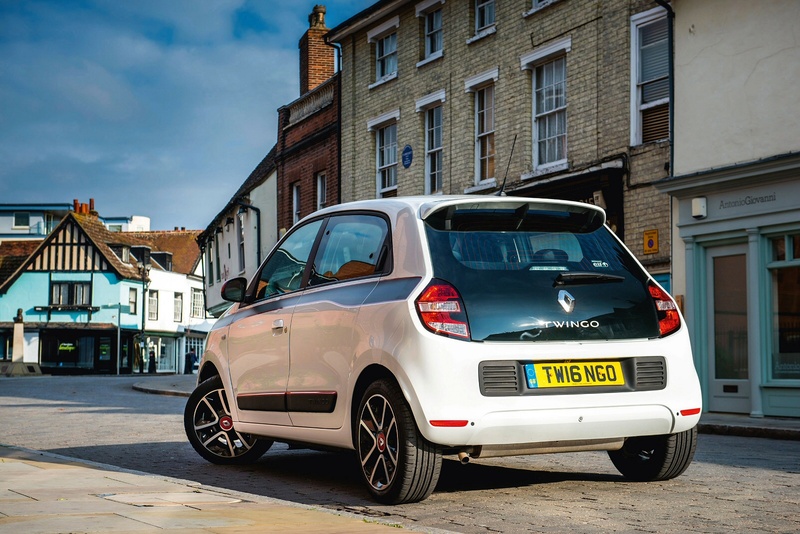 With a flat boot floor and the ability to carry items up to 2.2m in length, the Twingo has a practical side too. It can carry over 200-litres in the back, but unfortunately there's no boot up front, that space being taken up by battery, fluids and wheel arches. Storage cubbies throughout the cabin add another 52-litres. The Twingo is priced from around £9,500 and is available in five trim levels; Expression, Play, Dynamique, Dynamique S and GT. Only the top Dynamique, Dynamique S and GT models are offered with the 90bhp TCe engine. A smartphone-operated 'R & GO' system is fitted to every model, giving intuitive access to a variety of navigation, telephone, multimedia and trip computer functions as well as internet radio and a host of other practical features. Dynamique models offer the option of the R-Link multimedia system with a seven-inch touch-screen, voice control, TomTom navigation and 3D sound by Arkamys. DAB radio, Bluetooth connectivity and USB sockets are standard on every version as are body-coloured bumpers, door handles and exterior door mirror shells, a rear spoiler and LED daytime running lights. Comfort and convenience are provided with electric power steering, electric front windows, remote central locking, a speed limiter, a height-adjustable steering wheel, a trip computer and gearchange indicator, a lane-change function for the indicators and the automatic activation of the rear screen wiper when reverse gear is selected. The Play version adds air conditioning, a height-adjustable driver's seat and steering wheel, and 15-inch black two-tone wheel trims in place of the grey ones with Expression. Dynamique S versions add 15-inch alloy wheels, pinstripe shoulder-line decals, front fog lamps, electric heated door mirrors, cruise control, a lane departure warning system, a leather-trimmed steering wheel and gearshift knob, white instrument backlighting, a folding key and storage pockets in the rear doors. Personalisation options include the ability to change seat trims, door cards, wheels, air vent surrounds, steering wheel inserts and pedal sets. 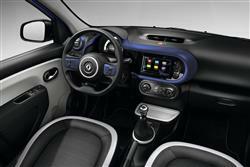 Renault also offers a number of convenience, touch and style packs for the Twingo. 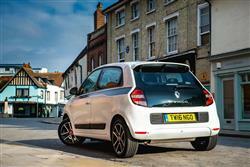 You'd hope that a citycar would turn in some strong economy and emissions figures and the Twingo doesn't disappoint. 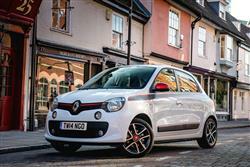 The 70bhp versions of the Twingo in Expression and Play trims will net you 62.8mpg with emissions of 105g/km. Of course, there will be some buyers who won't countenance a citycar unless it dips under the 100g/km figure and in order to achieve that, you'll need to upgrade to the 70bhp Dynamique model, which comes with Stop & Start technology. This helps improve efficiency to 67.3mpg and 95g/km. Even the punchy 90bhp ENERGY TCe motor manages to record less than 100g/km of carbon dioxide thanks to Stop & Start. This manages 65.7mpg and 99g/km. Residual values of the Twingo have always been very good and this one should be no different. In fact, such is the buzz created by its novel engineering that it ought to do better than its predecessor when it comes to holding onto its value. No diesel version has been released, Renault claiming that the limited amount of space for the engine precludes the fitment of a bigger and heavier diesel engine with all of its ancillaries. Still, the market for diesel city cars has always been marginal, so you're probably not missing too much. If you�re looking for a new Renault Twingo 0.9 TCE Iconic 5dr Auto Petrol Hatchback for sale, you�ve come to the right place. 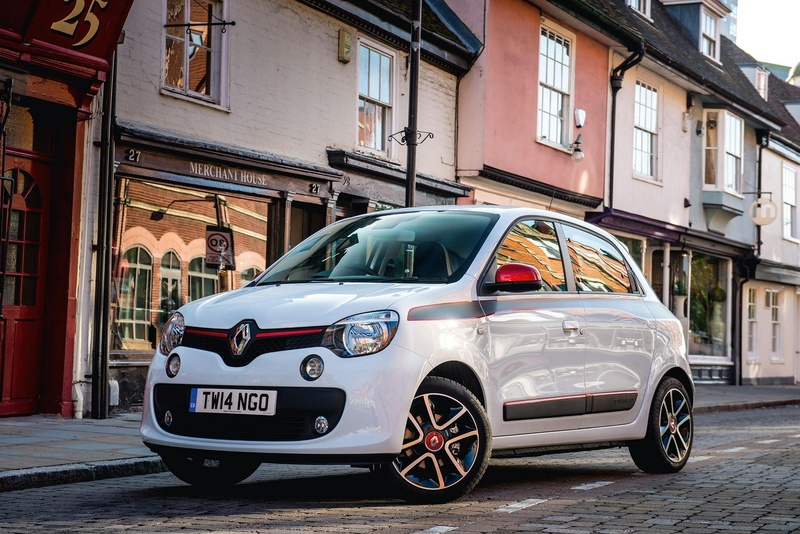 At Bristol Street Motors we don�t just have the best Renault Twingo 0.9 TCE Iconic 5dr Auto Petrol Hatchback deals, we also offer friendly advice and help with all your enquiries to ensure your buying experience is a happy experience.